Much like recycling, if we become aware of what previous generations have passed down to us, we can begin to shift our relationship with our emotional landfills. What is transgenerational trauma and how might we be engaging in it? For many, thinking about the transmission of trauma is daunting. Do I have a choice in the traumas, the baggage that I hold from my parents, grandparents, even great great grandparents?In many ways, it simply feels unfair that we have to spend so much time and money on therapy to rectify what our parents, grandparents, and so on have transmitted to us: what they didn’t gain awareness into, what they chose to ignore, or what they simply didn’t have the resources to work on. It seems unfair to be the one to have to invest time to sort through the past, in order to benefit my children and generations to come. Transgenerational trauma refers to the habits, patterns of thought, fears, limitations, and painful experiences passed on from one generation to the next. It happens when generations upon generations of individuals avoided working through the traumas they endured. If our ancestors never became aware of the impact that their own painful experiences had on them, and their thoughts and feelings, they most likely brought those thoughts and feelings into their relationships. They passed down their restrictive patterns of thinking, challenges around emotional regulation, and complicated attachments. Let’s think about recycling. When plastic was invented, the world was still free of plastic pollution and our oceans were clean. So, we just kept creating and using more plastic and throwing them into our oceans. We didn’t (yet) need to scrutinize the consequences of our actions, or have insight into the price our environment has to pay for our convenience. Somewhere along the line, plastic began piling up. Our fish, whales, and beautiful sea creatures mistook plastic for food because there was so much of it in their ocean, in their home. In other words, they found material that was in abundance in their natural environment and therefore seemed to belong. And swallowed it whole. In similar ways, our parents’ traumas abundantly live in our environment. Our parents present to us, consciously or unconsciously, their painful experiences, their difficult feelings, and their rigid thoughts.Like the sea creatures, we take them as natural parts of our world and swallow them up. Sometimes we swallow too much and kill off parts of ourselves. Just like the whales that swallow too much plastic, till their bodies are overtaken with foreign objects and no longer survive. How can we reduce, recycle, and reuse old plastic bottles of trauma? This process goes on until we become aware of the problem, create acceptance, and realize that change is possible. We know how plastic ruins, kills, remains, sits in places it doesn’t belong and destroys the beauty of our world. We realize that generations before us brought plastic to our environment, and we can do something positive with the buildup, with the mess, with the toxicity. We have built awareness into our toxic environment. We have decided that there are healthier places to put plastic. They no longer belong in regular bins, rather they belong in blue ones. 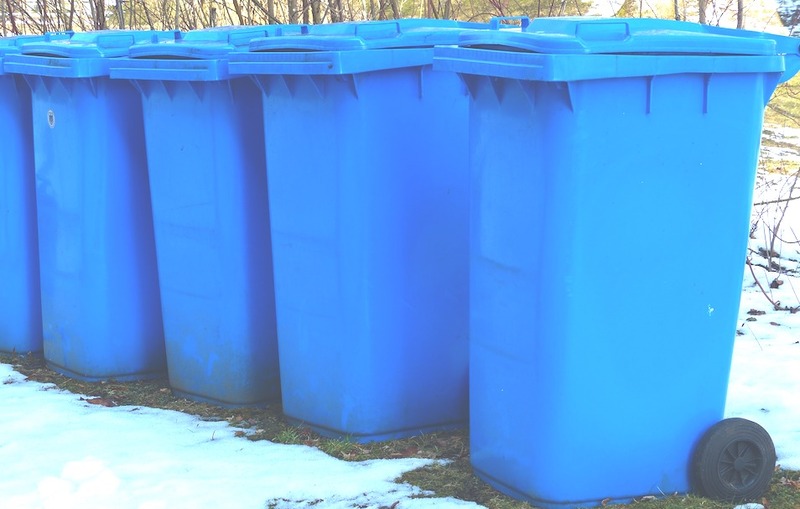 In bins that contain their toxicity, are given to people and institutions who are familiar with their material and aren’t scared to crush them, release their chemicals, and remold them. They wear protective gear but they don’t fear the toxicity, the challenge, and they don’t avoid the problem. People might deny their worth and environmental mission, but that does not stop them. What happens is profound. We openly talk about the problem. We talk about what recycling means and how to be intentional about our use. We reduce. Sometimes, we create the same bottle, a different shaped bottle, an object that can be used for a different function, maybe artwork. We reuse. Sometimes, the plastic changes form, color, is given to a new person. We recycle. It travels and goes through some tough times but it never remains the same. Unless, it’s thrown into the ocean. In a parallel way, as therapists, we have built awareness into the difficult emotions and traumas that we house in our bodies. And we are prepared and motivated to find them.Dig them out of the ocean, clean them, and mold them into something that is more useful for our lives today. It’s not easy and there’s a lot of opposition. Some deny that anything is wrong. Some deny the extent to which our process makes a difference. And some more turn a blind eye and ignore the issue all together. As a member of the mental health community, I am becoming increasingly aware of the transgenerational traumas that my ancestors haven’t dealt with were dumped in my ocean.I accept that they’re here, and are now part of my environment.I also realize that I have the power to take action around it by committing to proper recycling and healthy remolding and reuse practices. When the toxic waste appears, I no longer swallow it whole, rather, I have my therapist fish it out with me, to help me figure out what it is. Help me mold it into something that I want to house in my body, reduce the toxic feelings and patterns of thought, and give it a new purpose.Through this practice, I have hope that I will pass off a more beautiful, healthier, and functional bottle to my children and future generations. I also hope that if my children sense a giant plastic container in their ocean that doesn’t belong there, that they would reach out to me, to a friend, or to a therapist, to find their own ways to reduce, reuse, recycle. I’m Dana Jabreel, Psy.D., one of the therapists you could see at Wright Institute Los Angeles where we offer Affordable Therapy for Everyday People! Dana received her doctorate degree in clinical psychology from the California School of Professional Psychology. She has experience working with adults, adolescents, and families, and has a particular interest in helping individuals work through trauma, family and trans-generational, identity, spirituality, and relationship difficulties. Dana works from a relational perspective using the therapeutic relationship to facilitate change and foster authentic connection.